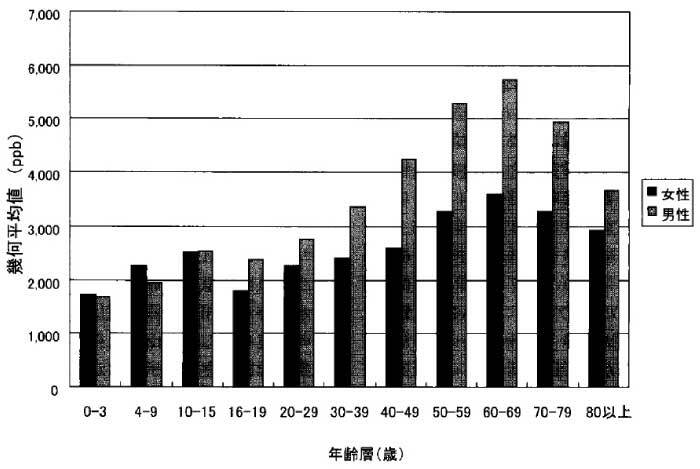 Yasuda H, Yonashiro T, Yoshida K, et al: Relationship between body mass index and minerals in male Japanese adults. Biomed Res Trace Elem 17: 316-321, 2006. 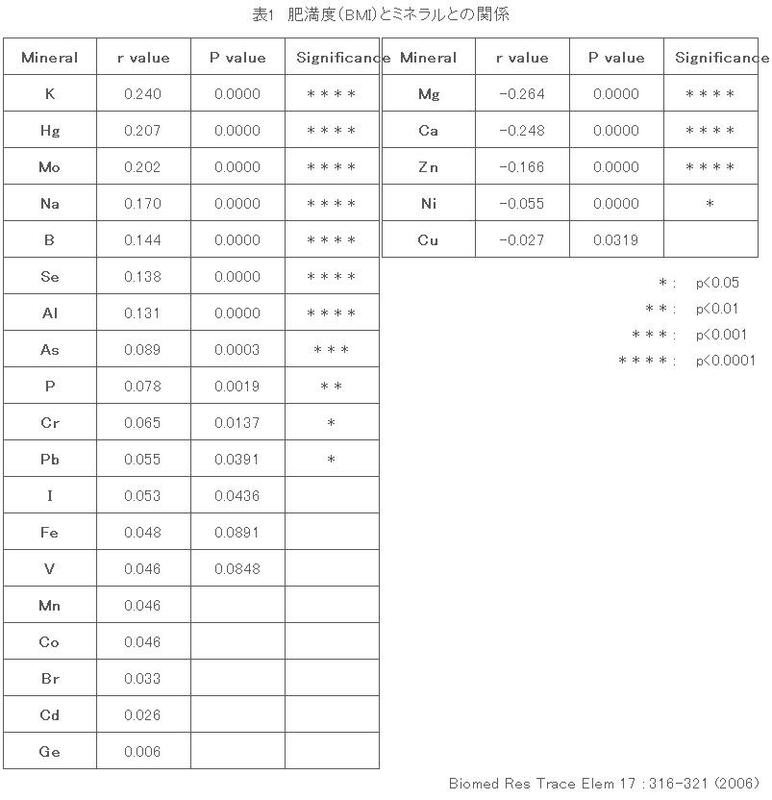 Yasuda H, Yoshida K, Segawa M, et al: Metallomics study using hair mineral analysis and multiple logistic regression analysis: relationship between cancer and minerals. Environ Health Prev Med 14: 261-266, 2009. Salonen JT, Seppanen K, Lakka TA, et al: Mercury accumulation and accelerated progression of carotid atherosclerosis: a population-based prospective 4-year follow-up study in men in eastern Finland. 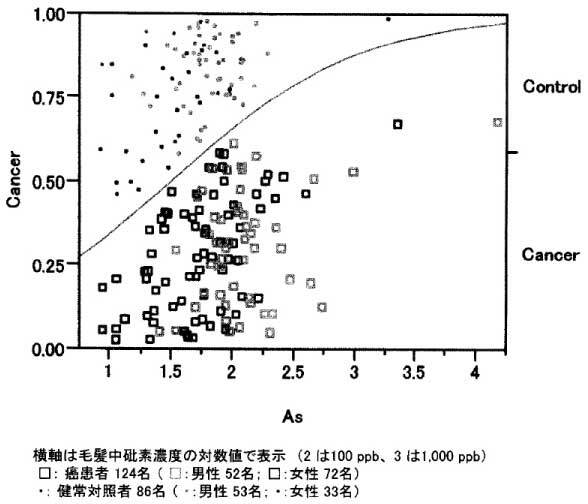 Atherosclerosis 148: 265-273, 2000. Belin RJ, He K: Magnesium physiology and pathogenic mechanisms that contribute to the development of the metabolic syndrome. Magnes Res 20: 107-129, 2007. Sanna E, Liguori A, Palmas L, et al: Blood and hair lead levels in boys and girls living in two Sardinian towns at different risks of lead pollution. Ecotoxicol Environ Saf 55: 293-299, 2003. Nash D, Magder L, Lustberg M et al. Blood lead, blood pressure and hypertension in peri-menopausal and post-menopausal women. 桑江なおみ、他：沖縄県における平均寿命、年齢調整死亡率、年齢階級別死亡率の推移. 沖縄県衛生環境研究所報 40: 121-127 (2006).